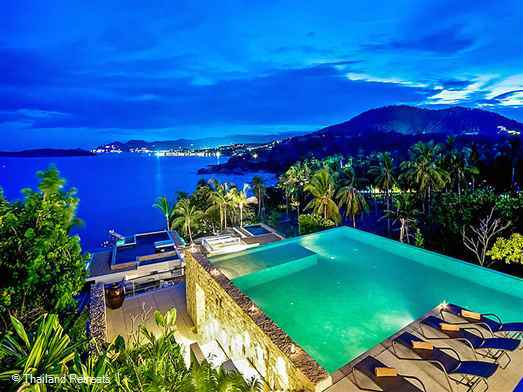 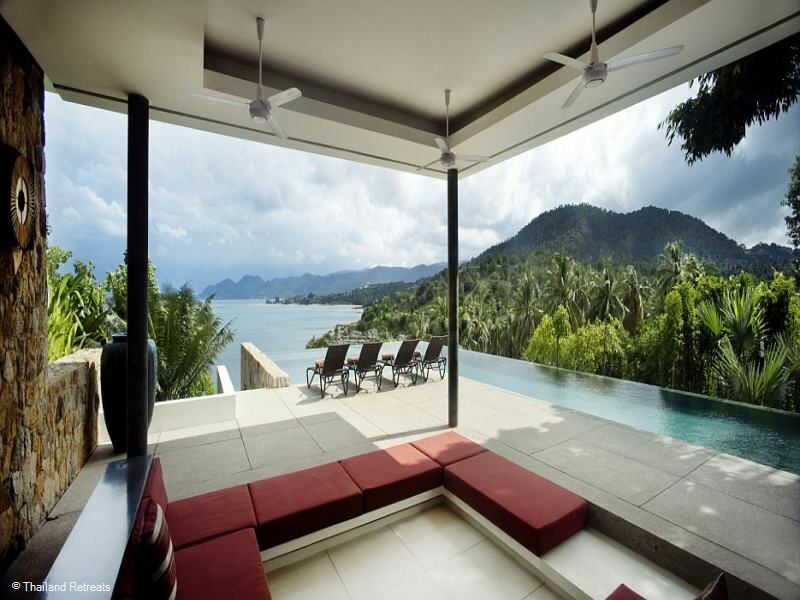 Samujana 19 is a stunning 4 bedroom luxury villa located on the edge of an exclusive development of contemporary design villas. 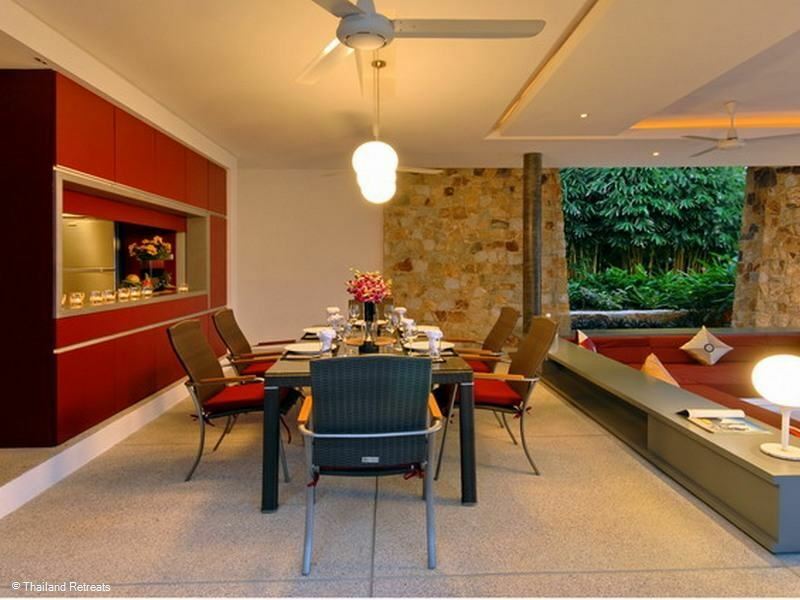 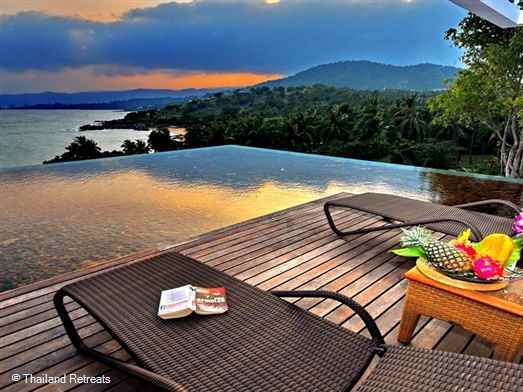 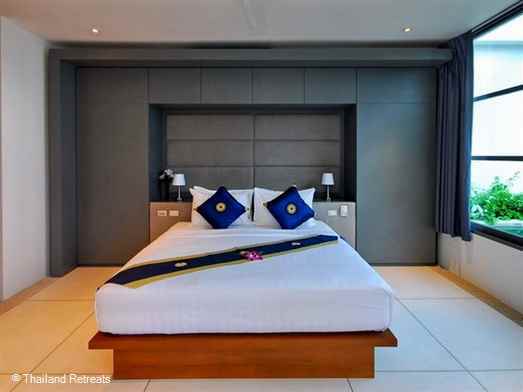 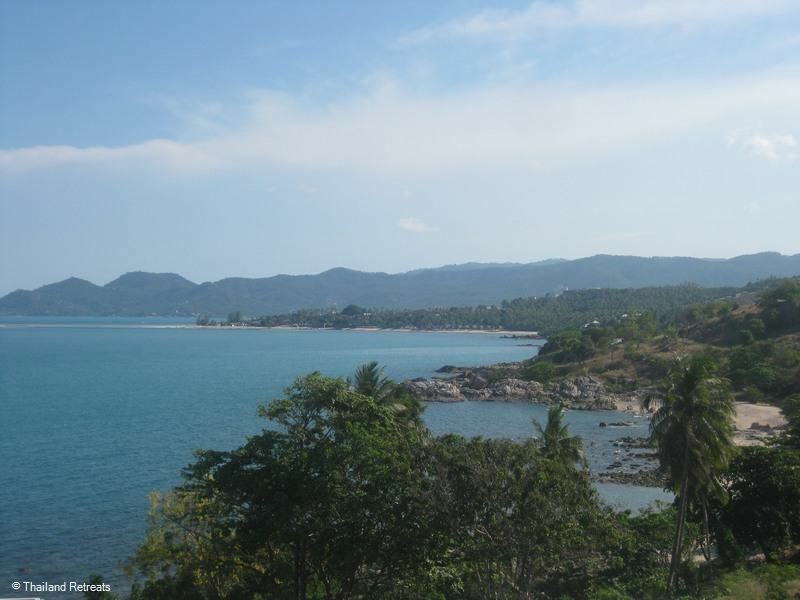 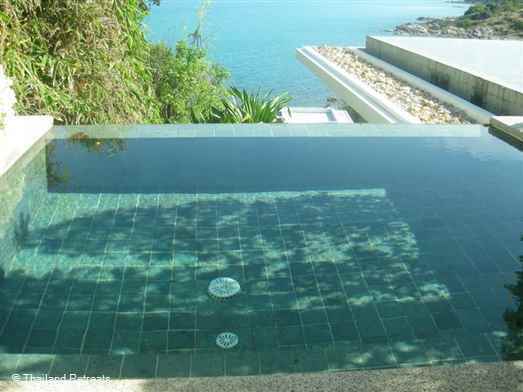 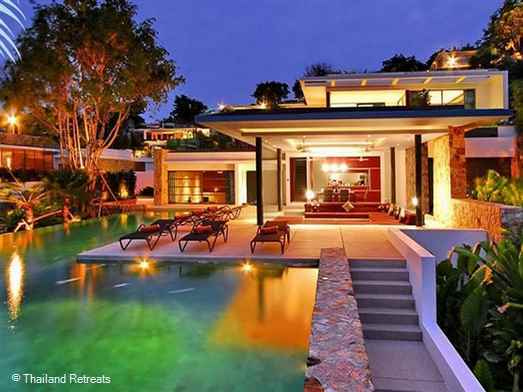 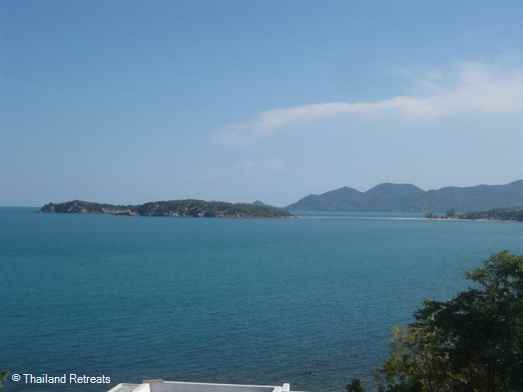 Perfect chill out holiday villa for 4 couples yet just a short distance from lively Chaweng beach. 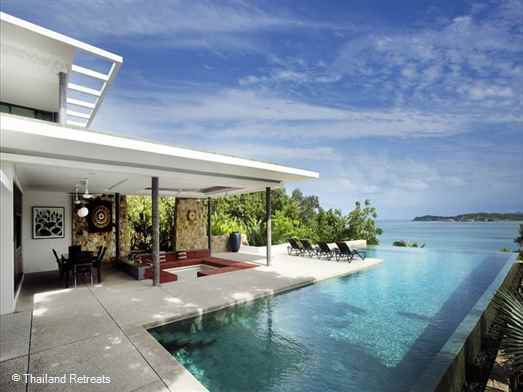 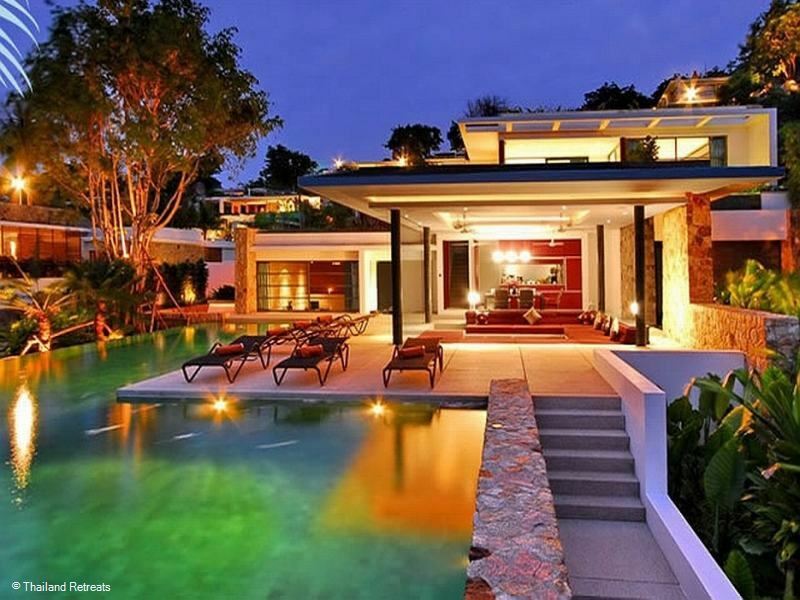 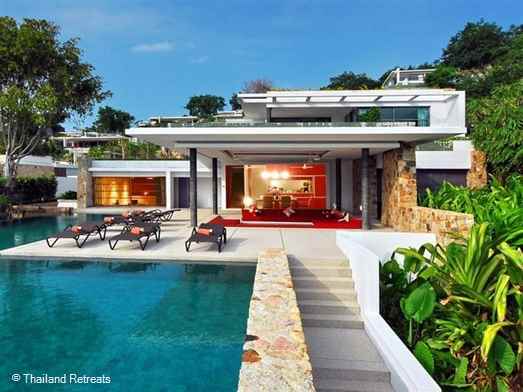 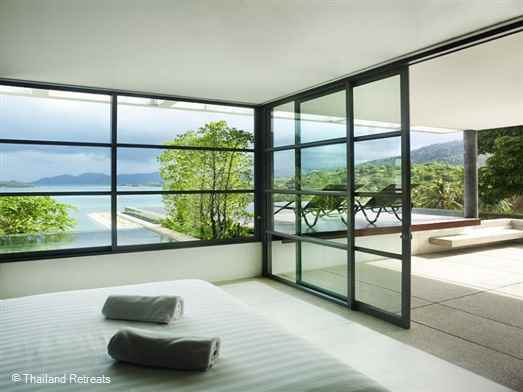 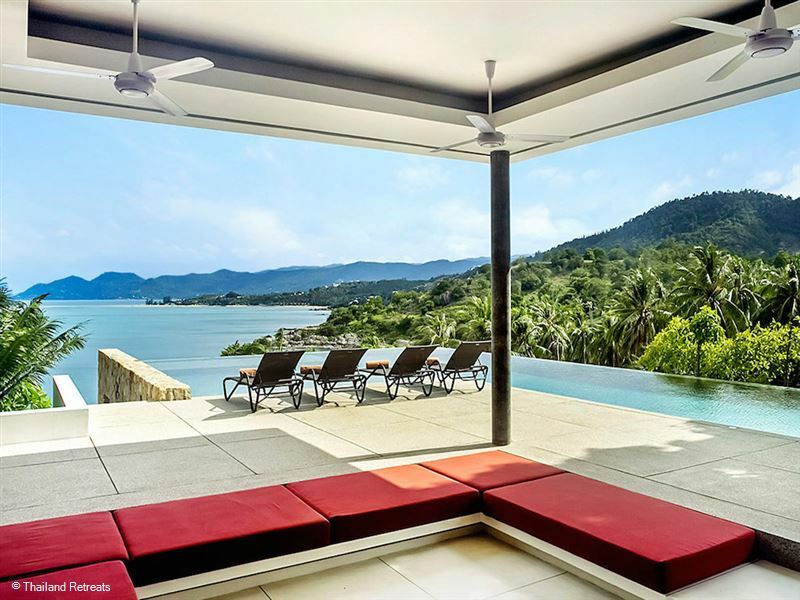 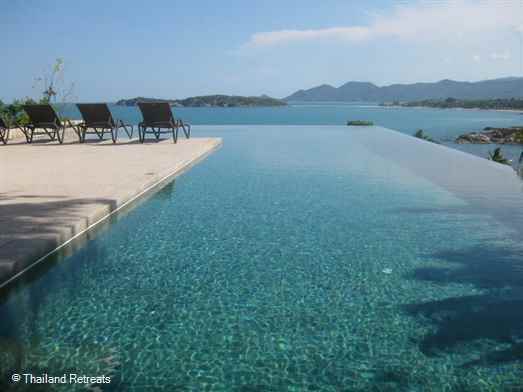 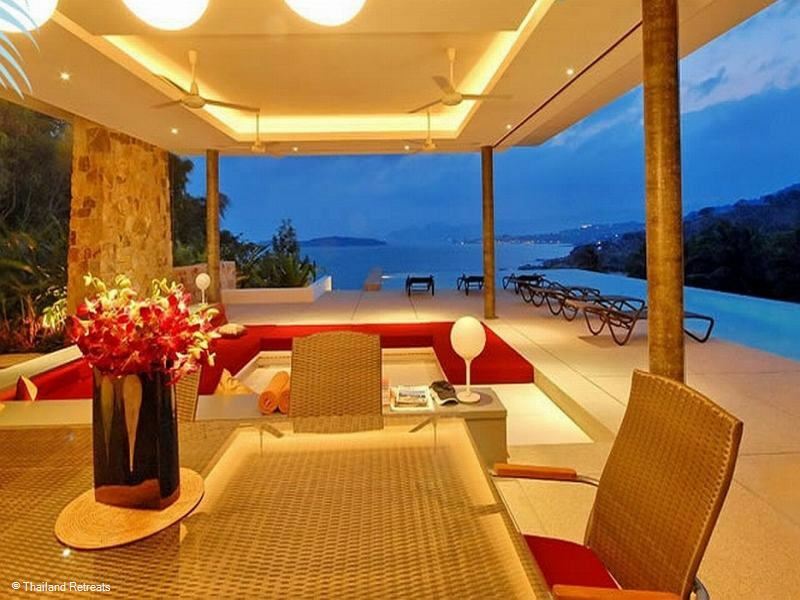 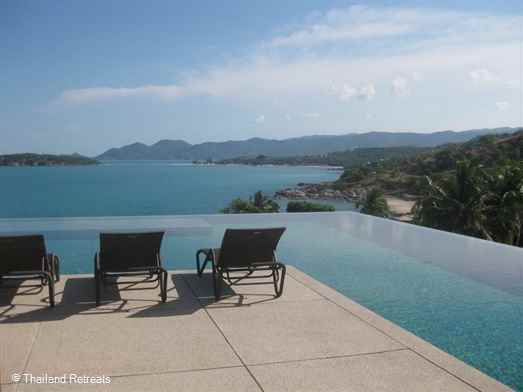 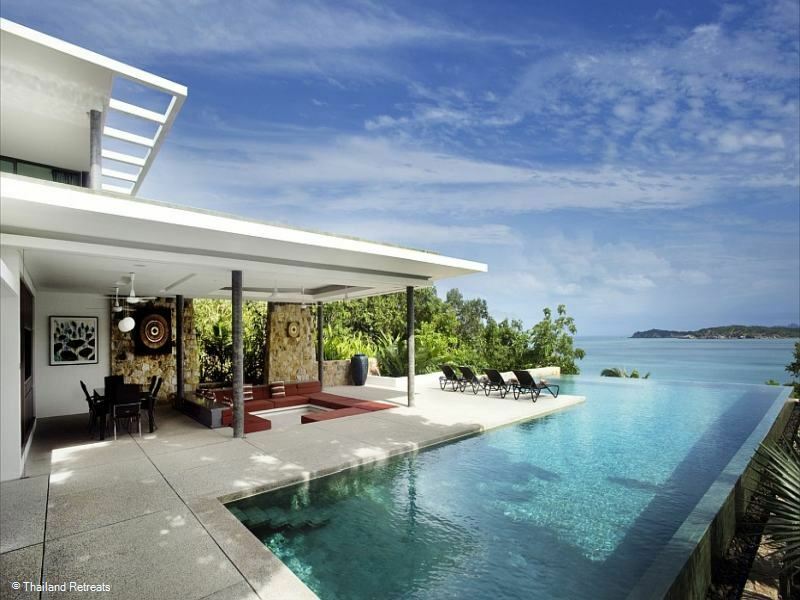 Samujana 19 is set within the stunning contemporary design luxury villa development located at the north east corner of Koh Samui and offers beautiful ocean views down the east coast towards Chaweng bay. Stylish and spacious, this beautiful villa is highly specified, and very private located in a corner of this high end project in the desirable Choeng Mon area. 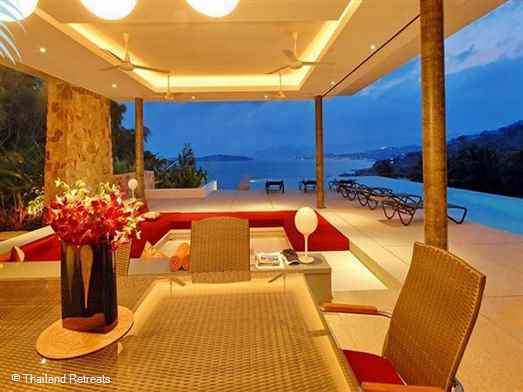 This amazing villa is built on 3 levels the middle level being the main living area with 2 bedrooms on the upper level and a further 2 bedrooms on a lower level all facing the ocean and having stunning views. 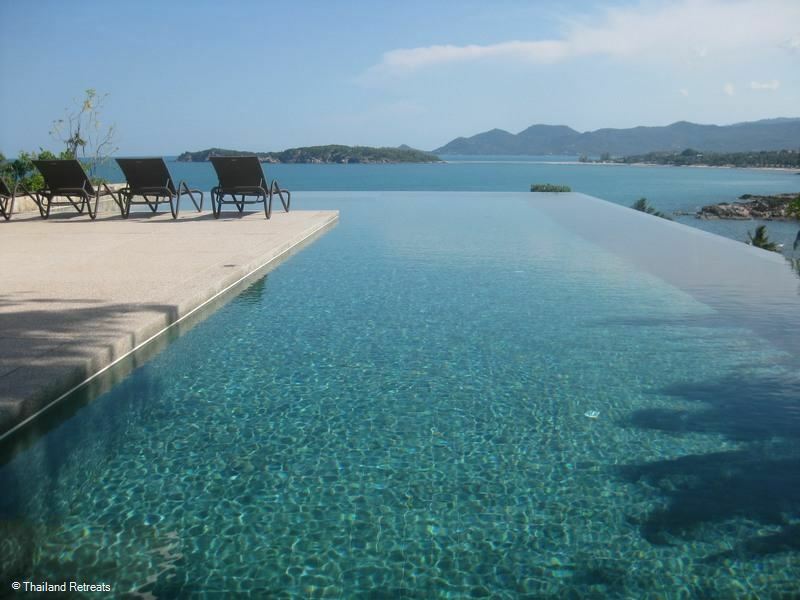 The pool is bordered by a sand washed terrace furnished with contemporary style sun loungers, patio furniture and a gas BBQ. 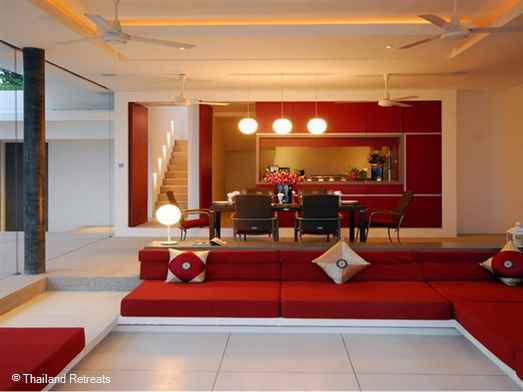 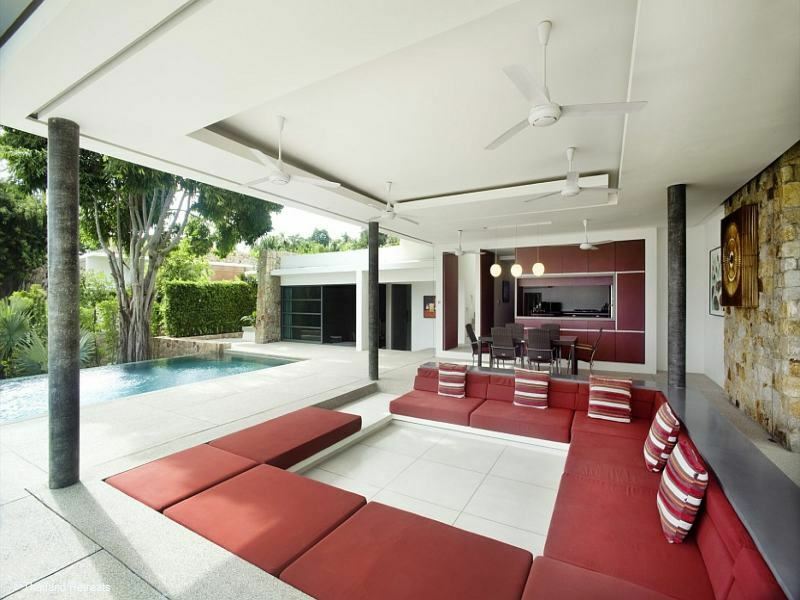 The open sided living area faces the sea and consists of a sunken area with built in comfortable sofas in a deep red colour and contrasting cushions. At the rear of the seating area is a dining terrace furnished with a dining table and seating for 8 -- 10 persons beyond which is a fully equipped guest's kitchen also attractively coloured in deep red with a serving hatch to the dining terrace. The large AV room is also located on this level and this air-conditioned "cinema" has a pull down projection screen to view satellite TV and play DVD's. 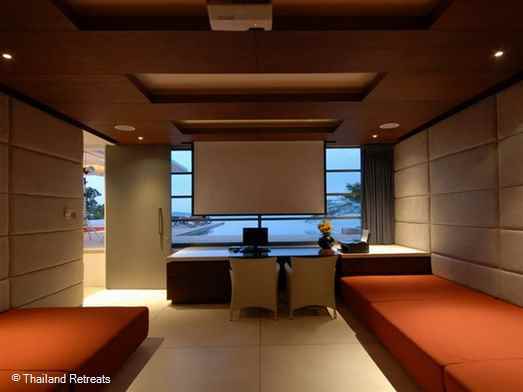 The room is furnished with built in comfortable sofas and a desk and computer. A guest bathroom completes the accommodation on this level. Two master bedrooms with en-suite bathrooms as well as their own private open air jacuzzis are located up a few steps on the upper level . They are separated by decking and furnished with sun loungers next to a reflection pool with amazing views down the coastline. 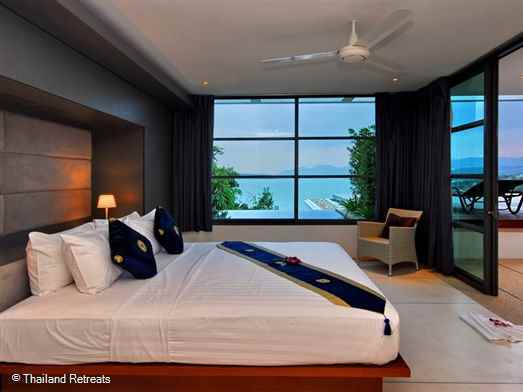 Two further luxury bedrooms en-suite are located on the lower level but still have sea views that are in fact closer. 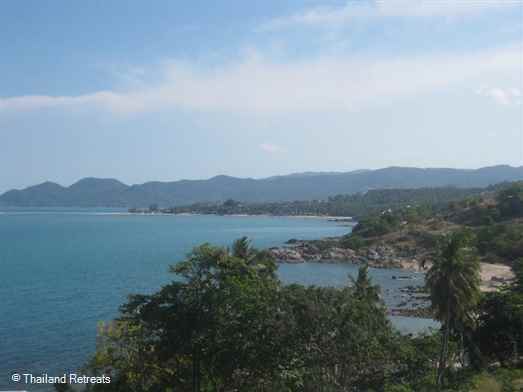 Airport transfers; one trip each way.